Improv is very custom in the tap dance community. Tap dancers are commonly seen improving at tap festivals, tap jams, and auditions. I often see tap dancers become so nervous and overthink when they improv. 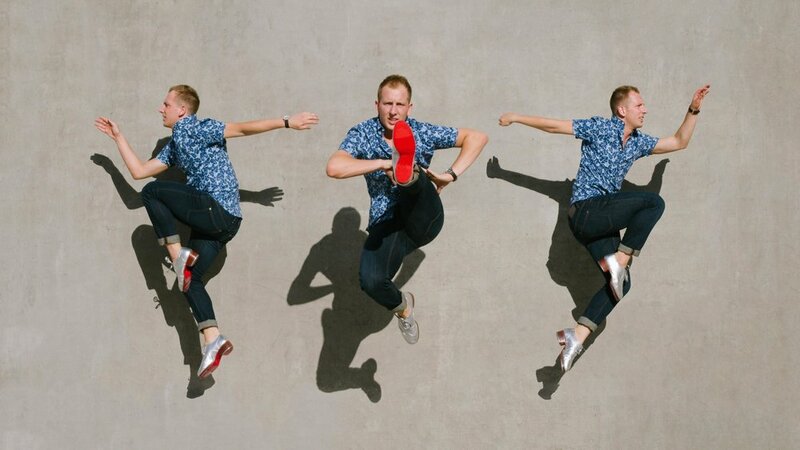 I have compiled a list of my top 5 improv exercises to benefit tap dancers with their improv journey, as well as those craving to enhance their skills. I have my students start from the basics and make them improv for 4 bars (16 counts) and will call out simple rudiments (toe drops, paradiddles, shuffles). Improv can be so scary and intimidating at times, especially for those new to improving. This exercise is a great way to begin their improv skills without overwhelming them. Organize your students in lines to travel across the floor. Once they are in their lines have them do quarter note improv. This requires them to truly THINK about what they are doing and requires them to listen to their music and understand the music they are dancing too. This exercise can also be done in eighth notes, sixteenth notes, and etc. Challenge your students by making them improv to an organized phrase. An example being AAAB, ABAB, ABCB, ABAC, Continuation and etc. (A great reference would be the classic Shim Sham Shimmy (AAAB or 3 and a break). This will make them think about what they are doing and force them to really understand the “conversation” they are having during their improv. Gather with a number of other tap dancers and trade. Being around other tap dancers will only benefit you. This will help you be inspired and continue to keep things fresh and current. Steal steps from each other, and give it your own twist. Constantly listen to new music and challenge yourself to improv to different genres of music (jazz, pop, hip hop, etc.). Every song you listen to brings a different vibe and tells a story, so express those stories with your instrument.